Memorial Day Sale Up To 70% Off Entire Site! You are here: Home / Great Deals / Memorial Day Sale Up To 70% Off Entire Site! Lots of great deals on this Memorial Day Sale. You can get up to 70% Off Online Only! 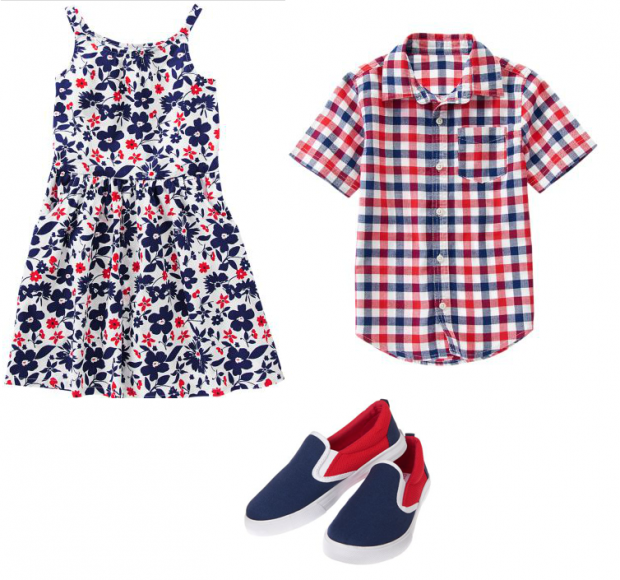 Fly your personal patriotic flag this weekend with these red, white and blue items! Get the Colorblock Slip-On Sneakers for only $9.94! This boy’s Plaid Shirt is only $8.44! Your girls will look great in this Floral Print Dress for only $12.44!